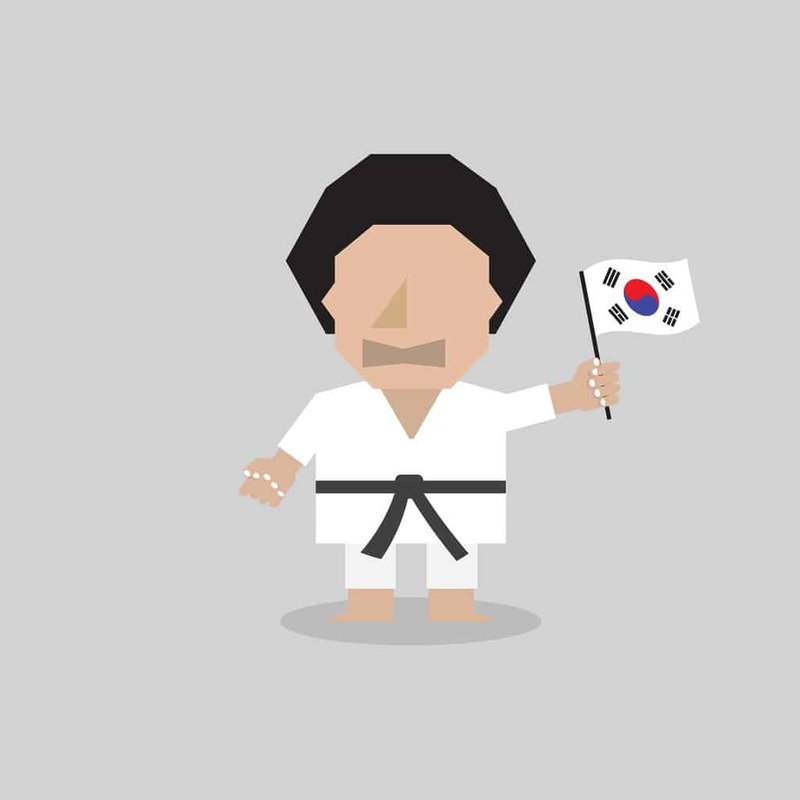 For non-Koreans, it may be difficult to understand the difference between Samil Day (March 1st), Korean Independence Day (August 15th), and National Foundation Day (October 3rd). 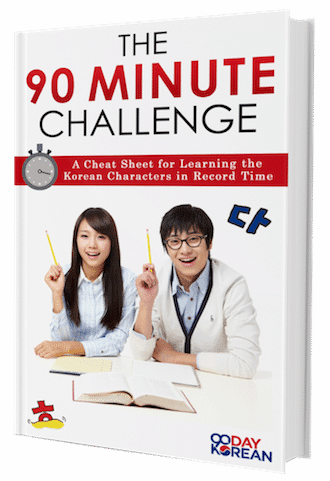 However, by understanding their difference, you can learn a lot about Korean history. The USA was founded at around the same time as it gained its independence. Korea, on the other hand has been a nation for thousands of years, 4,349 years to be exact. National Foundation Day, in October, celebrates the founding of the Korean nation in 2333 B.C. Since then, Korea has gone through a lot. The country has been invaded countless times and undergone many hardships. One of the worst periods in Korean history happened in the first half of the 20th century, when Korea became a colony of Japan. Under Japanese rule, people were forced to have Japanese names, and many Koreans were forcibly conscripted to provide labor for Japan, and were also forcibly drafted into the Japanese army towards the end of the Second World War. During the time of Japanese oppression, many Koreans stood up against the Japanese, and often paid for their defiance with their lives. Samil Day, on March 1st, commemorates one of the most important uprisings of this period. On Samil Day, several Korean nationalists declared Korea independent, however the struggle for independence would continue for another 25 years until Korea actually gained its freedom. The day when Korea finally through off its Japanese rulers is Korean Independence Day. In 1945, Korea was finally liberated from its occupation, and exactly three years later, on August 15th 1948, the Republic of Korea was officially established. August 15th is celebrated by many countries as the day when Japan was defeated and the Second World War finally came to an end. Known as V-J Day, or Victory over Japan day, this day marks the day that Japan announced its surrender. With Japan’s surrender, Korea could finally gain its independence. In the USA, V-J day is celebrated in September when the Japanese formally signed a declaration of surrender, rather than the day when Japan announced its surrender. 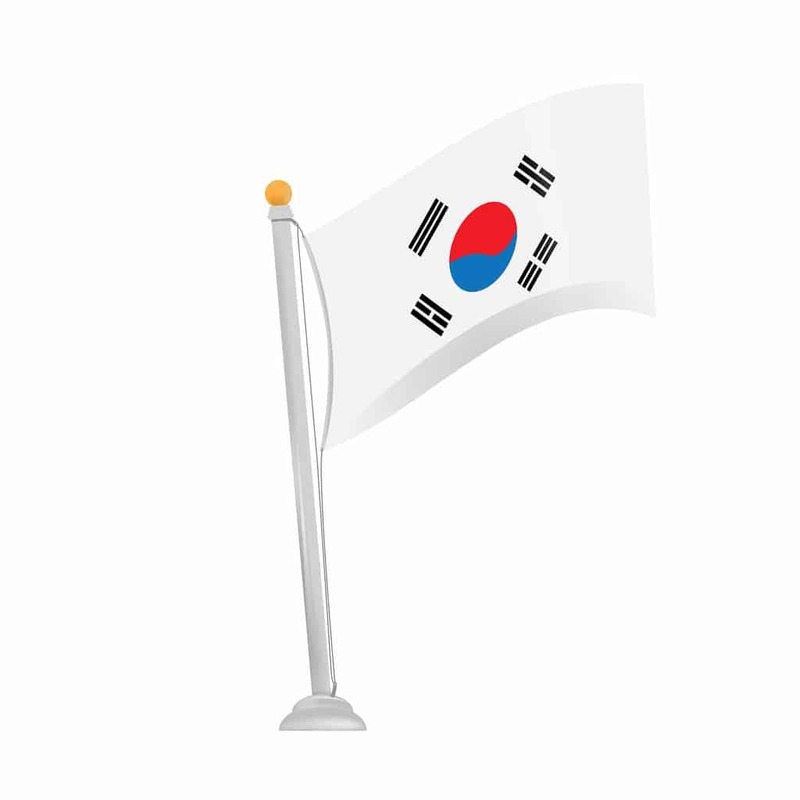 In Korean, Korean Independence Day is called 광복절(Gwangbokjeol), which means ‘Restoration of Light Day’. Such a name symbolizes how the day represents an end of the darkness of Japan’s rule over the Korean peninsula. 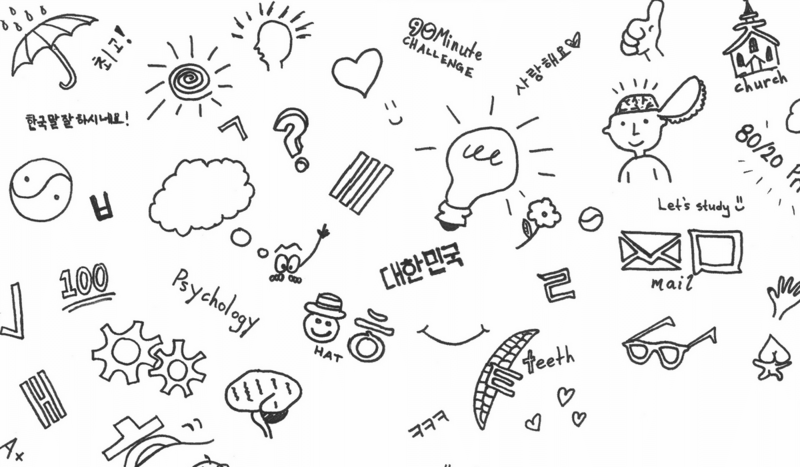 Its name is made from the Korean characters of ‘광’ (gwang), meaning ‘light’; ‘복’ (bok), meaning ‘restoration’; and ‘절’ (jeol), meaning ‘holiday’. The word ‘restoration’ is used rather than the word for ‘independence’, 독립 (dok-rip), in order to highlight how Korea has a long and proud history and how the Korean nation was ‘restored’ in 1945, rather than ‘founded’. 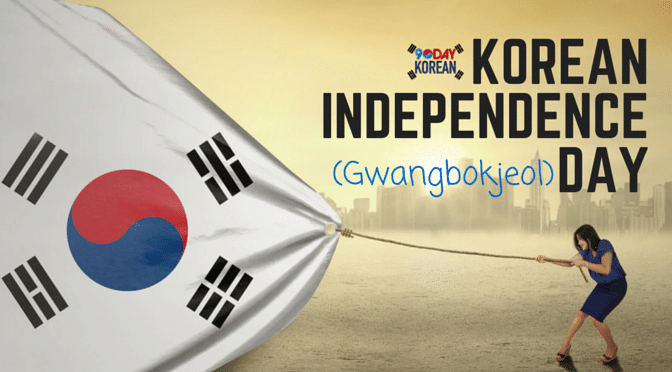 As a result, many Koreans call this day ‘Korean Liberation Day’ or ‘National Liberation Day of Korea’ when they translate ‘Gwangbokjeol’ into English. On this day, around Korea, local governments hang the Korean flag on streetlights and outside public buildings. In 2015, Lotte Group even put a huge Korean flag on the side of the under-construction Lotte Tower in Jamsil to commemorate the day. As well as companies and public buildings, Korean flags can be seen hung from the windows of houses and apartments around the country. You may even see or hear announcements reminding people to hand their flag if your apartment has a particularly patriotic owner. The government holds an official ceremony on this day, and the day also has an official song. It was during one of these ceremonies that the mother of current Korean president Park Geun-Hye was killed during an assassination attempt on Park Geun-Hye’s father, President Park Chung-Hee. There are some fireworks displays on Gwangbokjeol, but the main fireworks displays in Korea are held on National Foundation Day in October instead. Koreans who are descendants of independence activists can visit museums and ride public transport for free on this day. 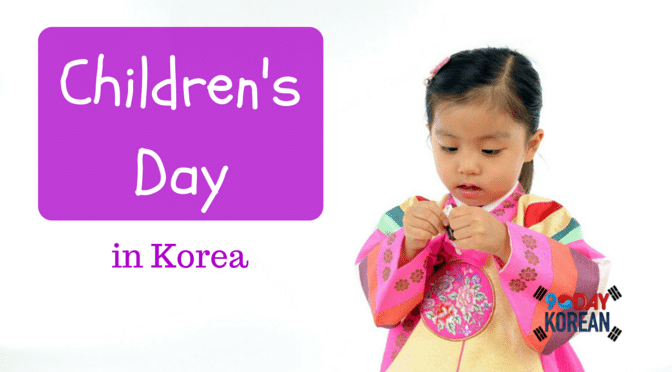 The Korean government can also give special pardons to prisoners on this day. This special pardon was the theme for 2002 comedy film ‘Jail Breakers’ (광복절특사), where the main characters escape from prison, only to find out that they are due to be pardoned the very next day. If you want to learn more about Gwangbokjeol, a good place to visit would be the Independence Hall of Korea, which is located in Cheonan. Here you can learn about the Japanese occupation of Korea. If Cheonan is too far to travel, then Seodaemun Prison in Seoul can help you learn about Korea’s struggle for independence. It was at Seodaemun Prison that independence fighters were imprisoned and tortured. Outside the prison is ‘Independence Gate’, which despite its misleading name, was built just before the Japanese occupation by the at-the-time pro-Japanese government. It was supposed to symbolize Korea’s independence from China. However at that time Korea was more-or-less independent from China, and the treaty that gave Korea its ‘independence’ from China allowed Japan to make Korea into a Japanese colony just a few years later. With relations between Korea and Japan always in the news, learning about Korea’s past can help visitors to Korea understand why so there is still so much antipathy between the two countries. If visiting Seodaemun Prison or the Independence Hall of Korea isn’t the sort of thing that interests you then there are plenty of other places that you can visit instead. 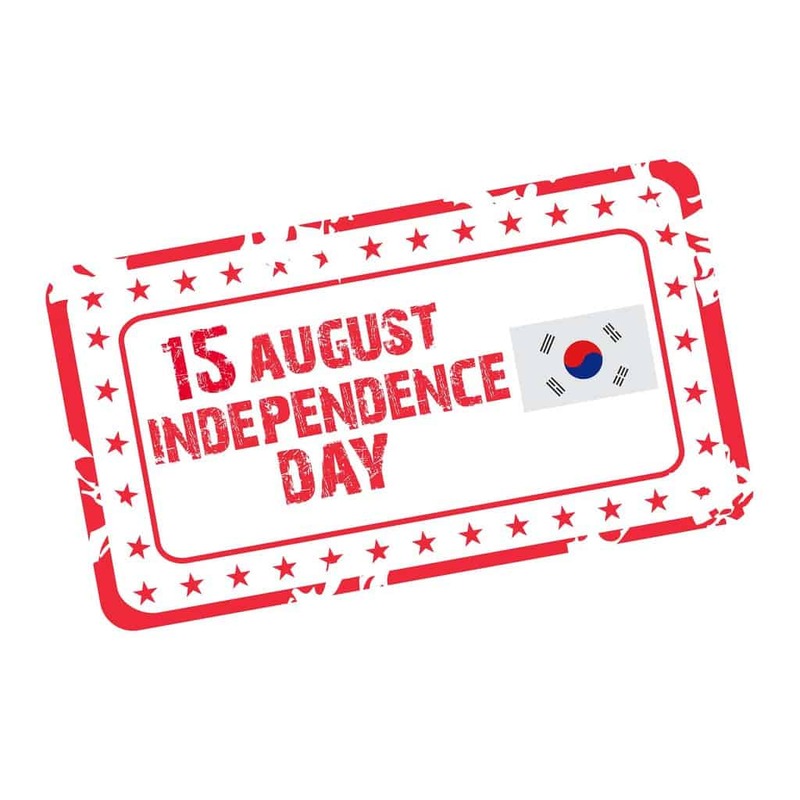 Why not make the most of August 15th being a public holiday by going out and exploring somewhere new in Korea and learning something new about this fascinating country. What do you do on Gwangbokjeol? Let us know in the comments below.